Security Guard Training USA provides the latest industry information and addresses all of your security guard training needs. Whether you are seeking to start your protection services career or advance within it, our goal is to get you informed and help you plan for success. 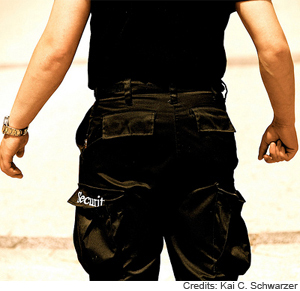 Everything you need to know about becoming a security guard you will find it in this site. As one of the Internet’s top sources for security guard training, SGT USA is distinguished among its competitors by offering extensive training information in protection services. More than ever, there are exciting opportunities in the security profession. Employment in the security guards and patrol services industry jumped significantly after the attacks on September 11, 2001. Today, if you work in a large office building in a major city, chances are you have at least one security guard at the front entrance, as well as numerous security cameras mounted around the lobby. According to government data, positions are set to grow in the U.S., with 175,000 new security jobs expected before fiscal year 2016. Did you know that private security guards have outnumbered police officers since the 1980s? Currently there are more than 1 million contract security officers, and an equal number of guards believed to work directly for U.S. corporations, dwarf the nearly 700,000 sworn law enforcement officers in the U.S., and the numbers for security guard positions are still soaring. Needles to say, there are many opportunities to work in the industry, and with the proper training, one can make a decent living. We hope that you will become one of them. We thank you for considering SGT USA. We aim to become the best, not necessarily the biggest and view it as a privilege to educate our readers and help them start their careers as professional security officers.